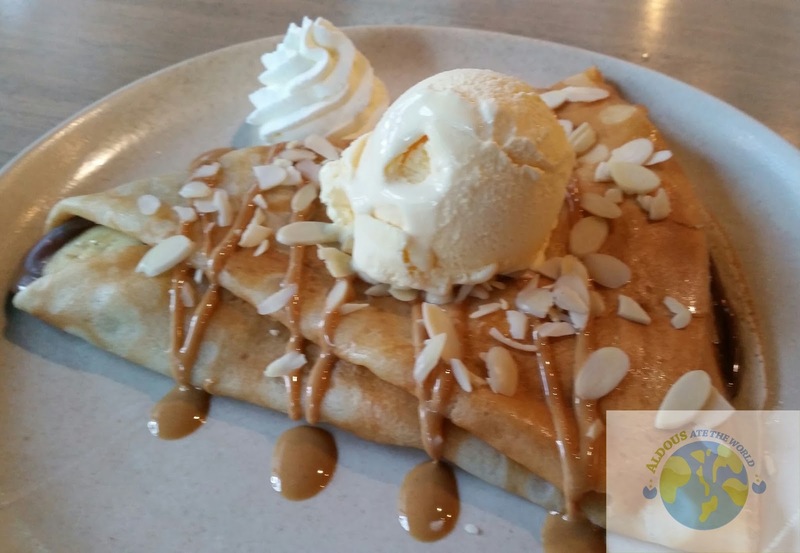 Whenever I crave for dessert, I would search for a place that serves crepe. It is a good thing I got to discover this quaint place at A. Venue Mall - Crepe Amelie. They have relaxing ambiance that would make you want to stay for hours. In fact, when me and Ivy visited, there was a group of people who were chilling there for at least a couple of hours. The high speed Internet connection also helps. Another huge factor is the modeling agency in the 2nd floor of A. Venue Mall so expect to do some window watching while spending time there. 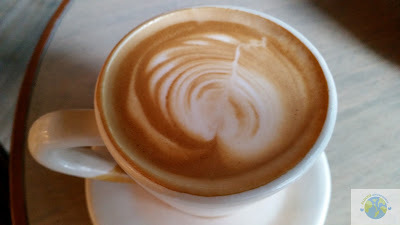 We started off dinner with the owner with a warm Cappuccino. It was indeed the perfect drink to get our tummies ready for a fulfilling meal ahead. 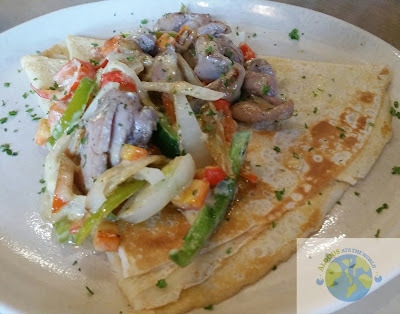 It was actually my first time to try Savoury Crepes. I never really believed in it satisfying my appetite. Well lo and behold, it actually did. I absolutely loved the creamy sauce on the tender chicken bits of the Chicken Ala King. The bell pepper and onions mixed in only did wonders for this dish. 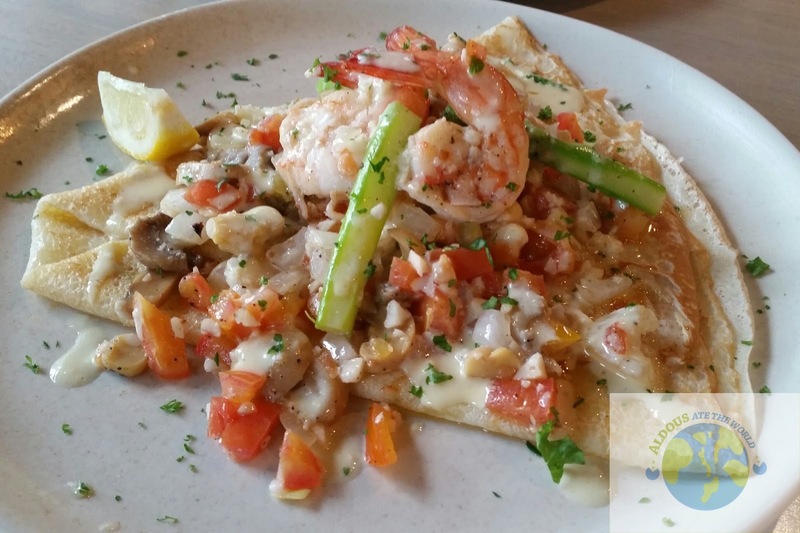 The Shrimp Mornay is creamy cheese sauce on top of shrimps, tomatoes, asparagus and mushrooms. It is indeed a healthy dish that I would love to recommend to friends. I can't wait to try the other savoury crepes when I come back here. 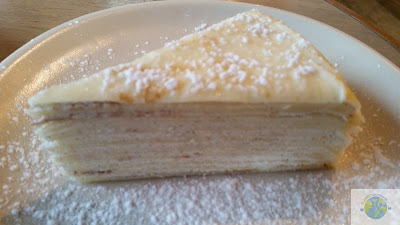 It was also my first time to try out crepe cakes and the Madagascar Vanilla made me wish I had tried it sooner. It was so good and it did not take long before I got to finish it. At first, I thought P150 for one slice is a bit too much but I changed my mind when I got to taste it. 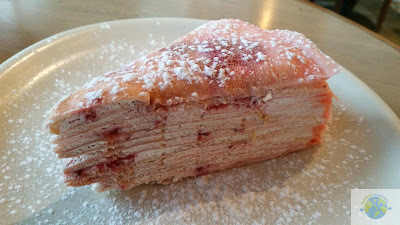 Out of all the dessert crepes, this was the only I really wanted. Don't put it on me though, they have an impressive selection of crepes. It is just that the combination of banana, peanut butter, vanilla ice cream and nutella was just too hard to resist. I also decided to add almonds to make it taste even better. The Cucumber Apple Mint is a refreshing drink to soothe your thirst. It is also very healthy because of the many health benefits of cucumber like improving digestion and managing stress. 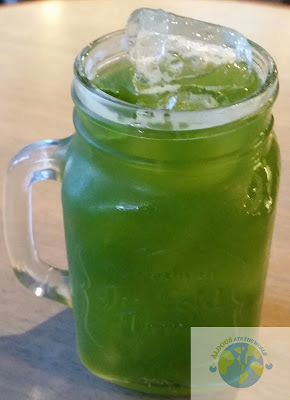 Its the second time I ordered this drink here and I won't hesitate to order it again and again in the future. Wow! 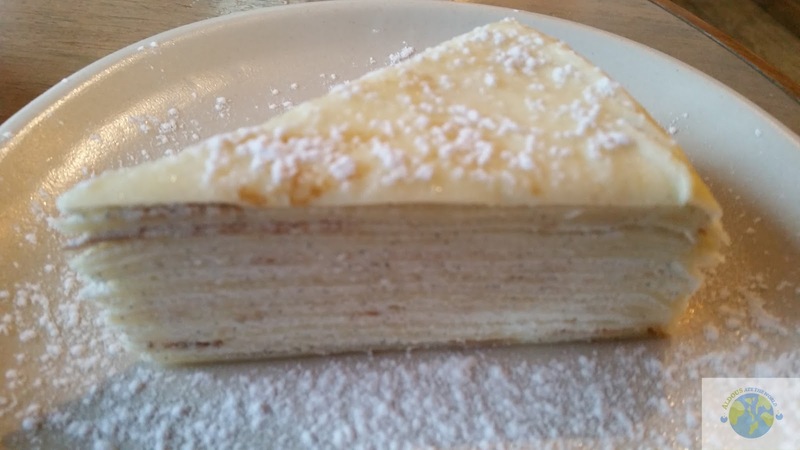 I love how the layers were made so fine and intricate. These crepe cakes look so adorable! Is this place new?